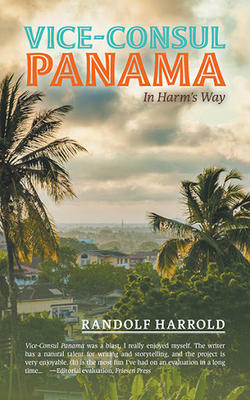 Join us on Thursday, March 30 for the launch of Randolf Harrold‘s new novel, Vice-Consul Panama: In Harm’s Way. The event will be from 5:00-7:00pm and, during that time, you will get the opportunity to meet the author, get your books signed, and partake in some of the delicious snacks and refreshments that will be on offer. “It’s 1972, and rookie diplomat Rob Kingman’s first major assignment, to find a missing school teacher, soon turns into a match of wits with Colonel Manuel Noriega, head of Panamanian security. Corruption, dictatorship, murder and the birth of the drug trade are rife. The larger Cold War conflict is the framework for this story, with references to the Cuban Missile Crisis, a UN Security Council meeting to be held in Panama to deal with sovereignty over the Panama Canal, and the US struggle to maintain its hold over the main security bulwark in the region. Join us on Saturday, March 25 at 3:00pm to welcome cookbook author Nettie Cronish to the store. 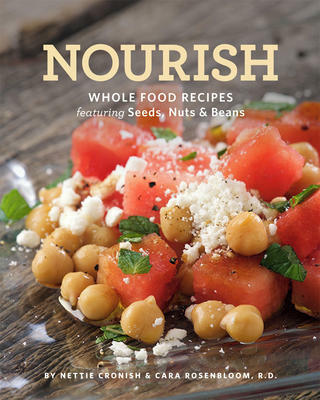 She will be here to sign copies of her newest cookbook Nourish. 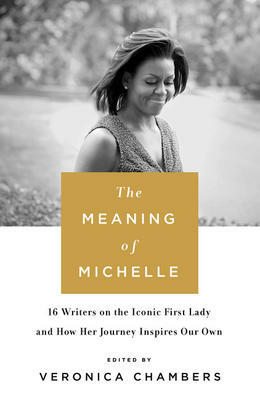 Her two previous cookbooks, Everyday Flexitarian and Flex Appeal, will also be available. Welcome to March! “In like a lion” seems to be the verdict for this third month of the year – a wet lion which quickly froze, but a lion nonetheless. Perhaps, if the saying holds true, we will have a nice, calm “out like a lamb” to look forward to. Well, regardless of the weather, there is no time like the present to escape into a great new book (or books). 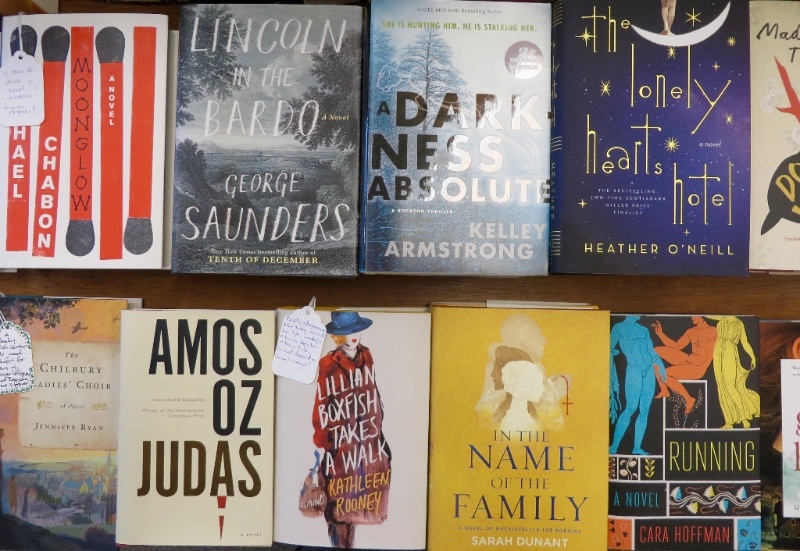 So,while we make our way through what we hope are the last weeks of winter, come down and browse our shelves for some new intriguing and enticing titles that would be more than willing to keep you company while we say goodbye to one season and hello to the next. As we creep closer and closer to spring, our in-store events are starting to pop up like bright green sprouts from the snow-covered soil. 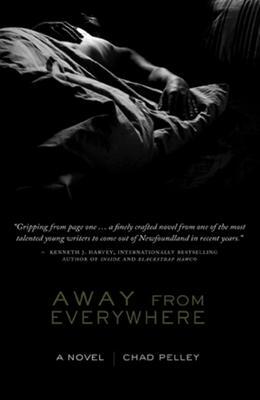 On Saturday, March 4, Newfoundland author Chad Pelley will be in the store from 1:00-3:00pm signing copies of his books Four-Letter Words, Every Little Thing, and Away From Everywhere. The last of these, Away From Everywhere, has just been made into a movie starring Jason Priestley which just had its Ottawa premiere at the NAC. 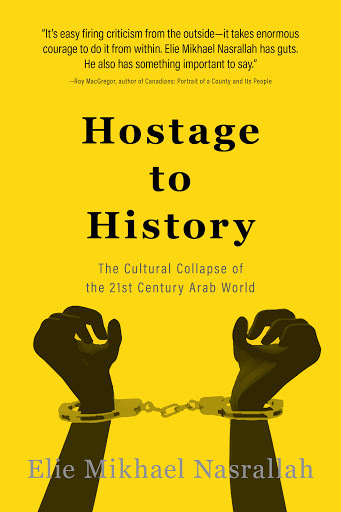 Perennial event favourite, Elie Nasrallah will be paying us a visit on Saturday, March 11 from 12:00-4:00pm to sign copies of his book Hostage to History. On the Titles@Table40 front, we still have a few tickets left for Tim Cook‘s appearance on Sunday, March 26. So, if you’ve been waffling about whether or not you want to go, give us a call or visit us today to reserve your spot before we’re sold out! It’s only the beginning of March, but we wanted to give you a quick sneak peak at a couple of events we have coming up in April that we’re very excited about! First up, on Friday, April 28, St. John’s singer/songwriter Amelia Curran will be stopping by to sign copies of her new book Relics and Tunes: The Songs of Amelia Curran and then, to cap off the month, we will be celebrating Authors for Indies Day on Saturday, April 29. We’ll be giving you updates and more information about both these events, so be sure to keep an eye on our website and newsletter over the next month as we get all the details ironed out for you. As always, it’s no great hardship to find some real gems amongst all the books we receive at the store everyday. Always a favourite, Ali Smith has given us yet another great novel in Autumn. Part saga, part meditation on the state of the world, this is the first in Smith‘s planned Seasonal Quartet, a series of four standalone novels that are both individual and interconnected, much like the seasons themselves. Although it’s been four years since her last book, Sarah Dunant has made a triumphant return with her new historical novel In the Name of the Family. Set once again in Renaissance Italy, this novel will plunge readers into the dangerous and turbulent world of the Borgias, with a special guest appearance by none other than Niccolo Machiavelli! Full of bright passion and rich history, In the Name of the Family is the perfect read for fans of Philippa Gregory, Alison Weir, and Diana Gabaldon. Miss Treadway & the Field of Stars by Miranda Emmerson features a London mystery like no other! When American star Iolanthe Green goes missing after giving an evening performance, the fickle public quickly lose interest in her very real vanishing act. Determined to find Iolanthe, her dresser, Anna Treadway, is joined by an Irish policeman, a Turkish coffee house owner, and a Jamaican accountant as she navigates a world of underground music clubs, brutal back alleys, and mist-shrouded streets in her search for a star no one else seems willing to look for. Finally, from Steve Burrows, the beloved author of A Siege of Bitterns, A Pitying of Doves, and A Cast of Falcons, comes his newest mystery, A Shimmer of Hummingbirds. Full of life-changing choices and impossible situations, this fourth book in the Birder Mystery Series will delight old and new fans alike. The teens and kids in your lives won’t feel at all left out when they see some of the great YA and children’s books making their way onto our shelves for spring. In The Beast is an Animal by Peternelle Van Arsdale, readers are invited into a dark, dark wood where legends are real and the existence of good and evil is as much a part of everyday life as children’s nursery rhymes. Spooky and thrilling, Van Arsdale delivers a great story for anyone who likes a little darkness with their fantasy. On a lighter note, Garth Nix‘s Frogkisser is a fun, magical story that will keep you laughing to the very end. In an attempt to save her kingdom from her evil step-stepfather (the new husband to her evil stepmother), Princess Anya enlists the help of a loyal talking dog, a young thief trapped in the body of a newt, and some mischievous wizards as she sets out on a quest full of new friendships, fun, and adventure. How Not To Disappear by Clare Furniss is a wonderful story of reinvention, self-discovery, and the healing power of the open road. After being abandoned by her two best friends and discovering that she’s pregnant, Hattie’s summer takes yet another surprising turn when her gin-loving Great Aunt Gloria – a relative no one knew existed – comes crashing into her life. Together this unlikely pair set out on a journey to confront both the secrets of their pasts and the choices that will determine their futures. For the little ones in your lives, there are some beautiful, adorable, and hilarious children’s picture books to choose from. As a follow-up to his supremely successful board books, Dog, Cat, Moo, and Tails, Matthew Van Fleet gives us the colourful and interactive Dance. Featuring lots of different animals and large easy-to-pull tabs to make those animals dance, this board book is sure to keep any toddler entertained for hours on end. A sweet story of opposites and comparisons, Me Tall, You Small by Lilli L’Arronge is a parent-child story full of fun and fancy, not to mention adorable otters! Perfect for the extremely imaginative child, Stephanie Graegin‘s wordless picture book Little Fox in the Forest is a beautiful story of love and friendship. Boy and Girl live in a world of black and white until the day when Girl’s favourite stuffed animal, Little Fox, goes missing. As the two children search the nearby forest, they enter a world full of bright colours and lively critters and eventually find Little Fox in a very appropriate place. The Prince and the Porker by Peter Bently and David Roberts is a wacky and hilarious rhyming story perfect for any child who loves to laugh. As a twist on the age-old story of The Prince and the Pauper, Pignatius’ tale of mistaken identity will charm and delight children and parents alike! As March has only just begun, we still have almost four full weeks of great book releases to look forward to. Here are a few things we’re keeping our eye on: Feast: Recipes and Stories From a Canadian Roadtrip by Lindsay Anderson and Dana VanVeller (March 7), Fantastic Beasts and Where to Find Them by J.K. Rowling (the original Hogwarts textbook; March 14), Triangle by Jon Klassen and Mac Barnett (March 14), The Tea Girl of Hummingbird Lane by Lisa See (March 21), The Princess in Black Takes a Vacation by Shannon and Dean Hale (March 21), and War Cry by Wilbur Smith (April 4). As the weather continues to haphazardly fluctuate from rain to snow and puddles to ice, our reading list is one thing that we do have control over. So, be sure to pile your nightstand high and avoid the messy world outside by escaping into ancient times, magical worlds, intriguing lives, and everlasting loves on a magic carpet made of books. Join us on Saturday, March 4 from 1:00-3:00pm to meet Newfoundland author Chad Pelley! He will be here to sign copies of his books Every Little Thing, Four-Letter Words, and Away From Everywhere, the last of which has been made into a film that will be having it’s Ottawa premiere at the NAC on Friday, March 3. “Brothers Owen and Alex Collins are brought together when mental illness claims their father and sets off a chain reaction of unrelated, heart-breaking events. Both tender and bold in its delivery, Away from Everywhere cuts no corners in telling the story of their crushing childhood, the reasons the brothers become different men, and the unthinkable act of love that tears them apart.